As our family gets ready to “celebrate” Hally’s birthday on March 14, I am filled with such a mix of emotions. Sadness, loneliness, grief, and disappointment bubble up from this mama who loves to give my children gifts, make their favorite foods, tell them how much they are loved, and just spend time with them on their birthdays each year. 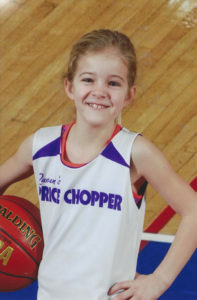 Thinking about “celebrating” the fifth birthday we haven’t had her here can seem overwhelming. Just as Job held fast to the Lord’s steps even when the path in front of him seemed like a mountain, I pray that you and I will choose to hold fast and not depart from the Lord when this world gives us heartaches and trials. My precious friend who recently lost her son has chosen to “choose joy” every day! I love this act of obedience. Even when her flesh wants to give up, she tells herself to “choose joy.” During this time of suffering for Job, he didn’t know what the end of the story for him would be, or why God allowed him to suffer – yet he held fast anyway! Job 5:8-9 says, “But as for me, I would seek God, and to God I would commit my cause-who does great things, and unsearchable, marvelous things without number.” As I look through the Team Hally pictures from the past four years, I can definitely see the great and marvelous things God has done without number. If you haven’t started the Job Bible Study, it’s not too late to join in! The end of Job’s story is full of hope and blessings. Following in my friend’s footsteps, and Job’s, I will choose joy and continue to hold fast to the words God has spoken. One of the ways we are celebrating Hally’s life each year at her birthday is by making pies (since her birthday is “Pi” day! LOL) so this year we will make 14 and give them away. She loved blueberries, so we always try to make a few blueberry pies. 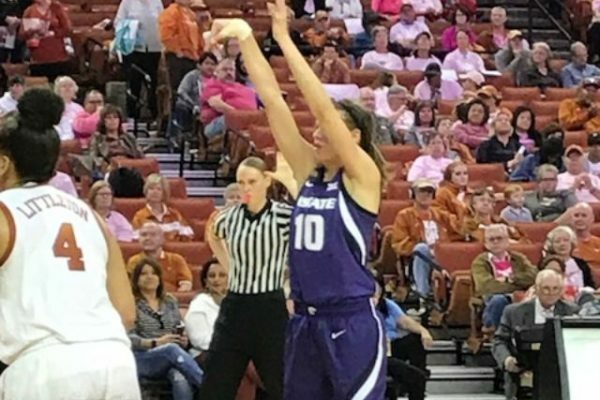 On Sunday, February 17, the K-State women’s basketball team did it bigger in Texas by defeating the #15 Lady Longhorns —- 69-60! The Yust Family was hosted by the team and Rob Heil from K-State; we spent the weekend in Texas with them. It was such a great opportunity to get to know each of the players better, to be part of their season, AND to encourage them. These young women are hardworking, energetic, persevering, encouraging, kind and fun! Team Hally has had a group praying individually for players and coaches this season. One of the coaches shared with me how much it meant to her that she was been prayed for, and how encouraging it was for her to receive a card from her prayer partner. 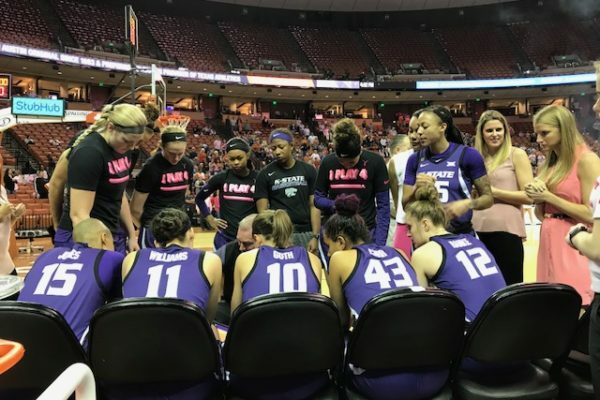 Let us know if you would like to be part of this vital part of our ministry by praying for and encouraging the K-State women’s basketball team for the 2019-2020 season. Also, plans are in the works for our next Team Hally Game in Manhattan! 1 Thessalonians 5:11 says, “Therefore encourage one another and build one another up, just as you are doing.” Partnering with Coach Mittie and the Lady Wildcats has definitely been a huge opportunity to encourage them, and also to encourage all of us at Team Hally. 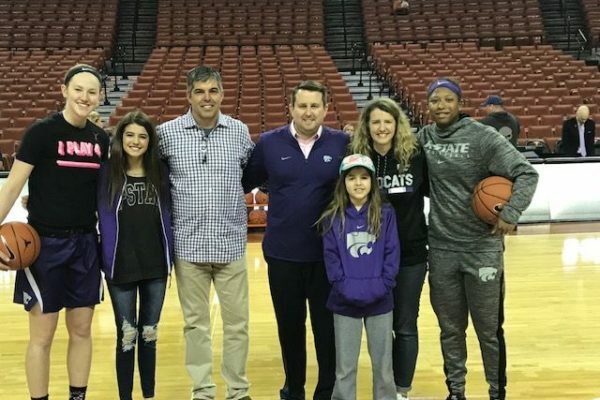 Pictured above: The Yust family with Rob Heil and members of the K-State women’s basketball team. 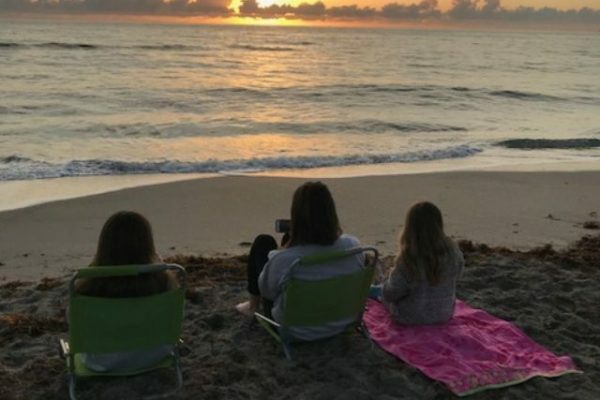 Pictured below: The K-State women’s basketball team; Yust family members on the beach in Texas; Kayla Goth of the K-State women’s basketball team. 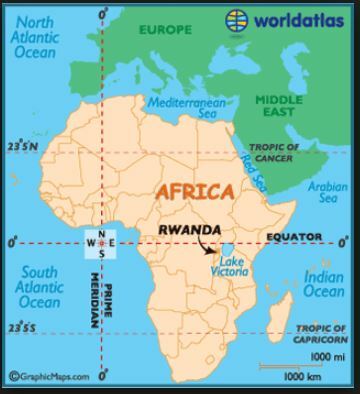 Shon and Macy Yust, along with 35 other members of Spring Hill Grace Community Church are leaving March 7 on a mission trip to an orphanage in Rwanda, Africa. There, they’ll have the opportunity to interact with and help with a VBS for more than 500 orphans, put a roof on a church building, paint, encourage the local community, and share Christ’s love. The group will take around 100 French and English Bibles to give to the orphans. Ephesians 3:20 says, “Now to Him who is able to do far more abundantly than all that we ask or think, according to the power at work within us.” Because of the amazing gifts Team Hally received at the 2018 Dirty Dash, we have the potential to give several thousand Bibles this summer! 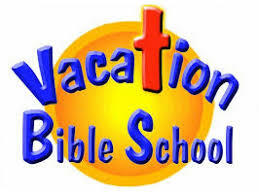 We have been researching new churches to give Bibles to for Vacation Bible School. We already have a church in Wichita that would like 250, a Baptist church in Independence that asked for 48 Bibles, Global Orphan Project that requested 1,000 hardbound French Bibles for orphans in Haiti, and KVC in Olathe that requested 12 English and five Spanish Bibles. We would love for you to email or message us on social media if you know of any churches that may be interested in receiving Bibles for their children’s ministry or upcoming Vacation Bible School.Thank you! PS – wondering if VBS really impacts the people involved? Please see the inspiring story from Team Hally supporter Denise Stout below! Do little things or little actions really matter? A little thing changed the course of my life. A little action first changed my brother’s life, which then changed my parents’ lives, which then changed my life. That little thing was a Vacation Bible School (VBS) flyer left at our front door in a suburb of Chicago. My mom read the flyer and was so excited to hear about a church providing a free two-week program for kids, as the Catholic church my parents attended didn’t offer many activities for kids. So, she sent my older brother and sister to VBS at the Bible church that left the flyer. So, yes, little things do matter. To reach my family, God used “little” things: a VBS flyer, a church building, a VBS volunteer, a church bus driver. He used other things too, like prayer, a pastor’s message, and God’s Word. My brother was the first to follow Jesus. And the first to see Jesus face-to-face. Little did we know that less than 10 years after he became a Jesus-follower, that he would be in heaven. What a difference that little flyer, faithful believers, and God’s precious Word made in so many lives! Be encouraged because God weaves all the little things and all the big things together for His glory. Keep being a faithful Jesus follower; keep sharing Jesus; keep sharing God’s Word. It matters for eternity. Praising God for His Word! Few books of the Bible cause us to pause, reflect on our level of faith and understanding of God’s word quite like the book of Job (pronounced Jōb). Throughout Old and New Testament, we meet individuals that exemplify the miraculous work of Christ. Why, then, many ask, would we look to Job for hope and encouragement? Often when I am feeling bold in Christ and become confident in my own faith, I remember Job. It is then that I examine my heart for God and whether it is worthy of my boasting. Sadly, I am humbled by Job’s tenacity, unwavering faithfulness, and commitment to God; trusting him in hopeless situation after hopeless situation. My prayer for you (and me) over the next few weeks as we study Job and his commitment to God and his trust in God’s plan, is that we recommit to a deeper trust than we have been willing to enter before. My prayer is that we experience a Job-like faith and strength regardless of the past, current, or future trial. Join us for Job! Please click for moreinformation. The January Bible reading was from the Old Testament book of Proverbs. I have learned so much this month and have had so many opportunities to share (mainly via text) some of these precious words with family and friends. I would encourage you to do the same as we begin our Job Bible Study in February and March. As I look back over the past four years since Hally went to heaven, I can see how true this proverb is. So many days I fainted from the pain of grief and had no strength to even take my daughters to school. Then, other days I chose to live in hope and joy and could see God using me in spite of my weaknesses: to love people at the Medical Lodge, to laugh and tickle Zoey, to celebrate birthdays and weddings, to give Bibles, to teach my Spanish class, to go on walks with my friends, to enjoy a snowball fight, to truly sing praises to my God and Savior. As you join us in February and March to read Job’s story, I pray that you will see God’s loving hand through the adversity that Job faced. Please send us your favorite takeaways from your Bible Study! AmazonSmile is a simple and automatic way for you to support Team Hally every time you shop, at no cost to you. When you shop at smile.amazon.com, you’ll find the exact same low prices, vast selection and convenient shopping experience as at Amazon.com, with the added bonus that Amazon will donate a portion of the purchase price to Team Hally. To shop at AmazonSmile, simply go to smile.amazon.com from the web browser on your computer or mobile device. You may also want to add a bookmark to make it even easier to return and start your shopping at AmazonSmile. How do I select Team Hally to support when shopping on AmazonSmile? On your first visit to smile.amazon.com, please select Team Hally Fund to receive donations from eligible purchases before you begin shopping. Amazon will remember your selection, and then every eligible purchase you make at smile.amazon.com will result in a donation. Thank you for your support!